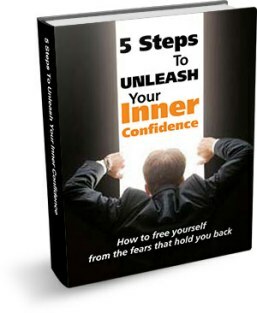 There’s a sneaky confidence killer out there that can instantly zap your confidence . . . and just about every single one of us is allowing it into at least one area of our lives every day. If you would like to uncover this devious beast so that you can show up with way more confidence and power in your life, then stick with me, because today’s discussion is going to prove highly enlightening. Each of us is constantly looking for simple tools and tricks to boost our confidence, and many can easily be found on this channel. The problem, however, is that confidence killers can be just as influential as confidence boosters. Think about your confidence like a cup—even if you’re filling it with ways to boost your confidence, your cup is going to be empty if it’s got a bunch of holes in it. That’s what confidence killers do: punch holes in your confidence cup. Let’s say you come up against a setback in your life—maybe you want to meet someone, but your approach goes horribly wrong; maybe you’re starting your own business and you hit a snag in your funding; maybe you’re making great strides with your health and then fall off your diet. Whatever the scenario, when you meet with a challenge, instead of working through it or mobilizing your resources to do something about it, you accept it as normal and remain helpless to change your situation. We experience something a few times—sometimes only once—and we believe that the negative result we experience is how it will always be, no matter what we do. We learn defeat and failure. Picture the very first time you encountered the setback you’re anxious to change: you probably shrugged it off and went about your day understanding that it was just a fluke. What about the second time, though? And the third? As we come up against a particular roadblock again and again, we begin to lose hope of success in that area and decide to give up because your efforts are hopeless—we drop into learned helplessness. Generally speaking, we tend to experience learned helplessness in just one area of our lives. For example, you might be a powerhouse when it comes to your business or career, but in your dating life, you’re completely lost. Even if it’s a much smaller aspect of your life, almost everyone on the planet has at least one area in which they feel stuck and tend to drop into a state of learned helplessness. So, how do we stop and reverse this learned behavior? This is a very powerful tool. No one wants to be ruled by something called “learned helplessness.” We’re not helpless, and believing so conflicts with our identities. By simply giving it a name, we instantly demystify it and relabel it as something within the realm of things we can control. In doing so, we regain our power. There IS a solution to every problem. If you don’t know what the solution to your problem is right off the bat, then maybe you have some growing to do—maybe there’s something new that you need to learn in order to transform your life. When you approach a problem this way, with an open mind toward learning and growing, you can transform your life in ways you never knew were possible. Just because you haven’t found the solution yet does not mean it doesn’t exist. Telling yourself that useless story just puts you back in a place of learned helplessness. And what do we do with learned helplessness? We identify it, we remember that it is not in control of us, and we reclaim our power to direct our own lives! I am not helpless! For every problem, there is a solution. I am powerful, and I am a creator in my life! Seek information, find answers, and take action to change the direction of your life. As long as you remember that every problem has a solution, you will discover the power to work through even your most daunting challenges as you continue to learn and grow. What setbacks are you facing in your life? What are the areas in which you’ve noticed learned helplessness? What solutions have you tried to combat it? Share your findings and thoughts below, and please subscribe if you want to learn more about this and watch my videos as they come out. 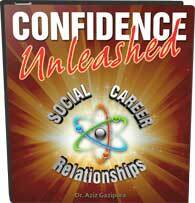 This is just one of the many resources you may come to value on your road toward greater confidence. Until we speak again, may you have the courage to be who you are and to know on a deep level that you’re awesome.